Google says they lose 20% of their traffic for each additional 100 milliseconds it takes a page to load. Speed matters. Google also incorporates your page-load time into your site’s search rankings. Faster sites win, literally. That’s why WP Engine hosting services custom-built our EverCache technology to deliver WordPress fast enough for Google, and at scale. We automatically scan for, and fix, many hacking attempts to secure your site. Our guarantee: We’ll do everything we can to ensure your WordPress site won’t get hacked. 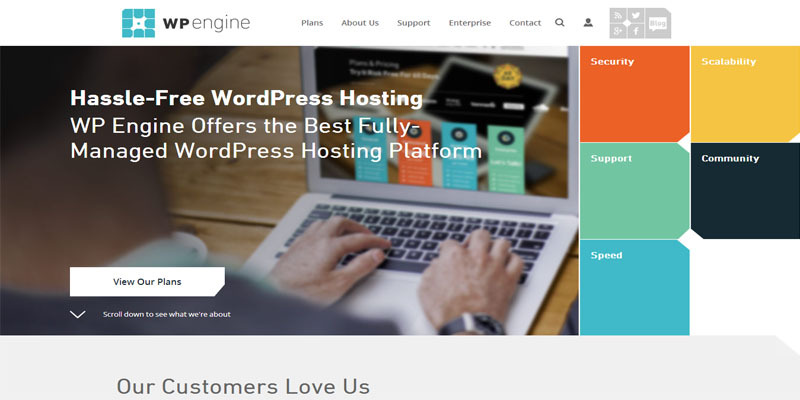 And if your WordPress site still gets hacked, WP Engine hosting services will fix it…at no additional charge to you. We took requests from WordPress site owners like you, and implemented some amazing hosting features. For instance, your WP Engine hosting account comes with a WordPress staging area, so you can deploy new pages, themes, or site changes without worrying about crashing your site. Our customers love this–you will, too. Moving to WP Engine is easy and painless. We have trusted 3rd-party partner to to assist you with moving your site.